Today’s audiences demand dynamic, interactive & visual presentations, not a lecturer standing behind a lectern reading from notes. Give them what they want without giving up your safety net! 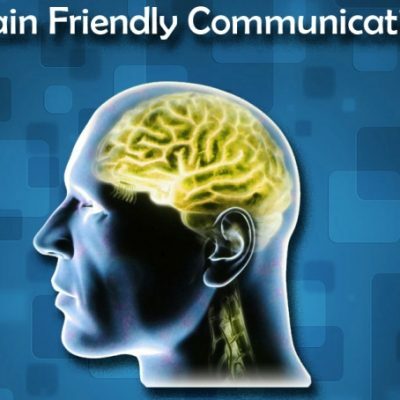 No need to memorize your speech – It can pay for itself the first time you use it! No need to transport or rent super large monitors as confidence monitors. Look more dynamic, more engaging. No need to be shackled to a lectern to see your notes. Don’t worry about forgetting what to say, where you are or what to say next. Go head and walk into the audience, answer their questions, feel free to go on a tangent. We’ve got you covered. 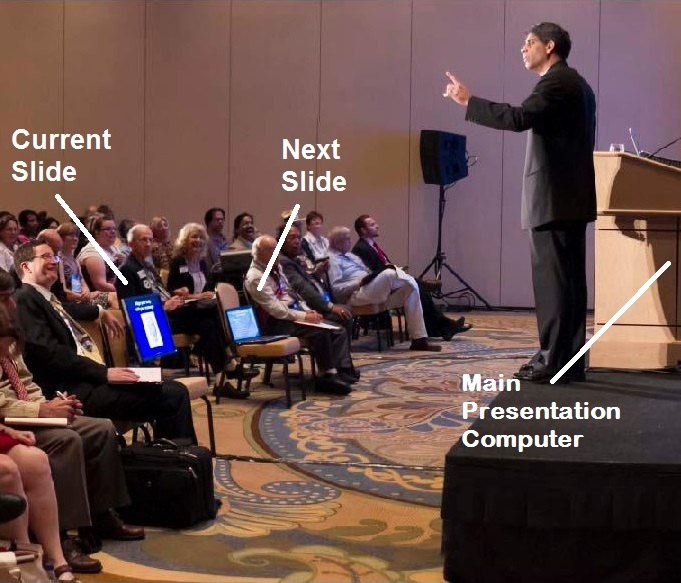 Should your main presentation computer fail, your prompter can be hotswapped in seconds! 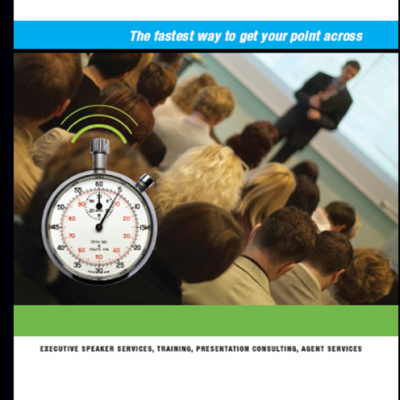 No more death-by-PowerPoint – No need to combine your reminders with the audiences visual aids. Our cueing system will help you LookWiser. 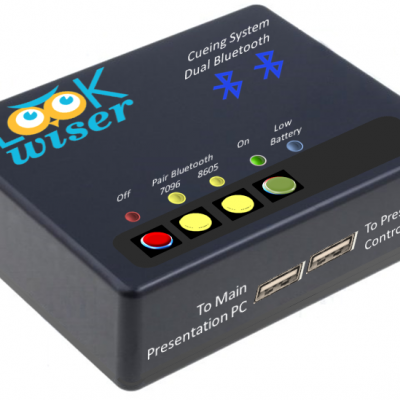 LookWiser’s Cueing system allows you to fully engage your audience, use the entire stage and maintain eye contact without giving up your safety net. 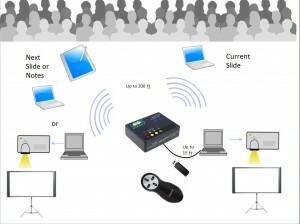 One computer displays to the projector. One computer shows you what the audience sees without looking behind you all the time. One computer shows you what is coming up next. One computer shows you what needs to be said. Or any other combination, you can even control 2 projectors. And your favorite presentation mouse controls them all! HOW DOES THE CUEING SYSTEM HELP? The LookWiser Cueing system allows you to put your slides, notes or transition reminders on the stage or in the audience, using your own equipment. 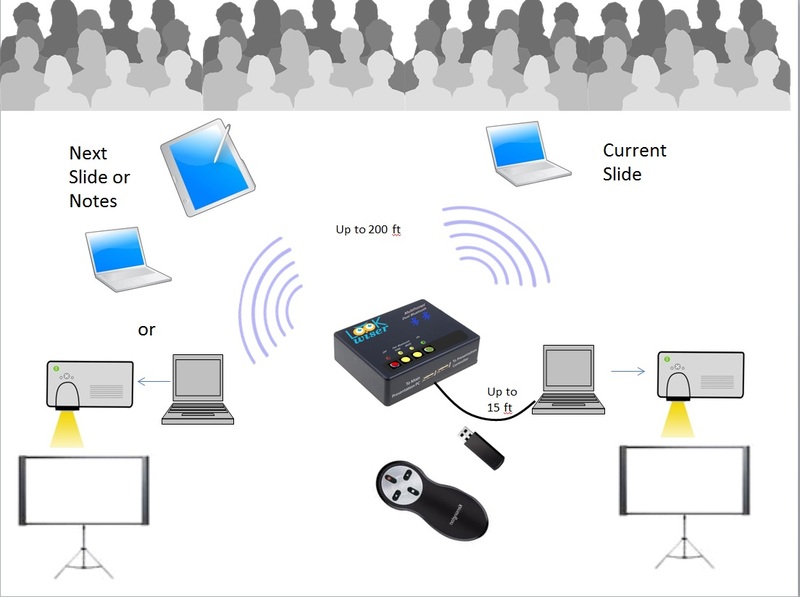 Press one button on your favorite presentation controller and they all advance to the next slide or visual. No need to be shackled to the lectern. You can use the entire stage. Hot swap in seconds if presentation computer crashes. No learning curve. It is your presentation running on equipment you already know (Mac or PC). Can make day-of changes unlike most teleprompter services. No need to write out speech. You control so you’re not dependent on someone else keeping the prompter in sync. No need to hire anyone to manage or operate the system while you speak. Relax, you are in command! With a touch of a button up control your slide presentation, reminders and notes on up to 3 computers, laptops or tablets. Should your main computer encounter problems? No sweat! Your prompter can be swapped for the main computer and you can be up and running in seconds. So what? 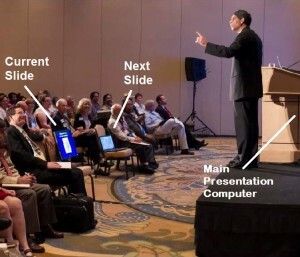 Would you wait 10 minutes for a speaker to boot up another computer, log on, download your presentation, start the presentation, and find the right slide? The audience can’t see your safety net! The system is discrete. Every time you look at your notes, the audience thinks you are looking at them! You’ll know what to say & what is coming up next without appearing to break eye contact with the audience. 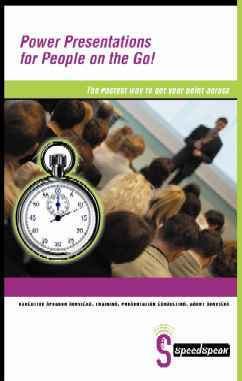 Don’t have time to memorize a presentation? Don’t want to spend $thousands on a teleprompter system? Don’t want to be shackled to a lectern? Don’t want to lug a huge confidence monitor everywhere you speak? 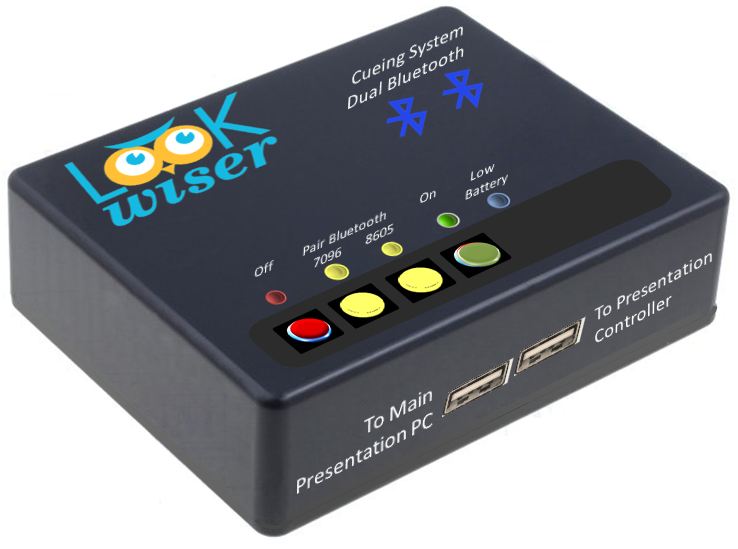 Our discrete LookWiser Cueing system can help. By allowing you to use your own laptops or tablets as prompters, placed in the front row of your audience, you will always know where you are, what to say and what is coming up next.